Moss provides the two best solutions to infectious medical waste destruction on this planet. 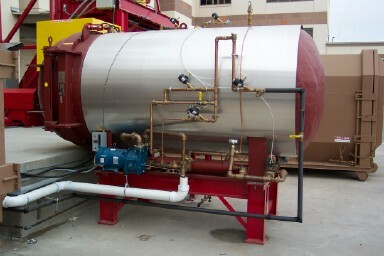 Our retort autoclave system and our thermal processing fixed hearth, rotary kiln and vertical incinerators provide complete microbial kill of red bag hospital waste. The Moss medical waste autoclave system has proven to be the most reliable sterilizer design for the disposal of hospital red bag infectious waste. In 1996, STERIS Corporation (formerly AMSCO) assigned Moss to be the STERIS/AMSCO Eagleguard retort autoclave exclusive national distributor. During that time, we sold and installed a significant number of autoclaves in the highly regulated healthcare market. 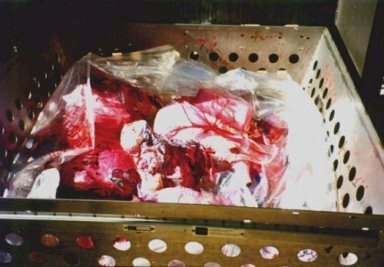 In 2004, STERIS decided not to continue manufacturing medical waste autoclaves. 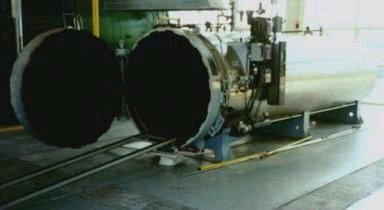 Since that time Moss has been manufacturing these same retort autoclaves with the same design, operating control parameters and safeties as was being supplied by STERIS. As a current OEM manufacturer supplier, Moss is now offering this autoclave with an enhanced user friendly/remote monitoring PLC control system, stainless steel autoclave carts, shredders (single, dual and four shaft designs), cart tippers, cart dumpers, compactor / containers and regulated and non-regulated hospital waste carts as part of a complete system. Our autoclave systems provide proven designs for large or small hospitals, commercial waste hauler installations and international airports. Turnkey installations are also available in most areas. Free estimates and consulting are available. The Moss approach to onsite medical waste disposal for hospitals is the most complete method for helping to ensure acceptable processing of infectious waste materials. The operator simply loads contaminated red bag carts from the hospital floors onto our cart tipper with spill chute that dumps the red bags into custom designed stainless steel autoclave carts, virtually hands free. Each cart is then pushed into the autoclave for processing. Once processed, the carts are removed from the autoclave and are rolled to the compactor/container or the optional shredder cart dumper. Handling of treated and other wastes is kept to a minimum. Semi-automatic cart dumpers unload the treated waste into the primary shredder, and if sharps are being treated, through the specially designed sharps shredder to provide the waste unrecognizable. Some single shredder designs are also available. Shredded waste is then automatically transferred with a conveyor or auger to the compactor/container, if desired. A stacked system directly over a compactor/container is also available for certain applications.